Well, it looks like Jennifer Aniston no longer has the most desirable & sought-after Hollywood hairstyle. According to the Wall Street Journal, when it comes to actress haircuts to emulate, Harry Potter star Emma Watson’s cropped mane is the most desirable. For the boys, Justin Bieber’s swish was the style most asked for. No swish on this photo — Beiber cut it off last February, so despite himself not styling his hair that way for the past year, it was still dubbed the most influential. 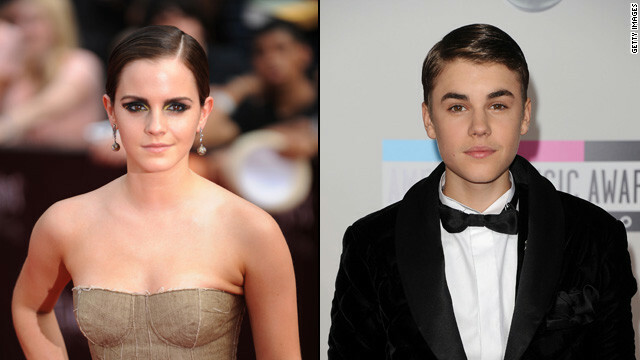 Both Emma and Justin were the fastest-rising searches for celebrity haircuts on Google this year. They kinda have the same do now! haha I guess I shouldn’t grow out my pixie cut! !